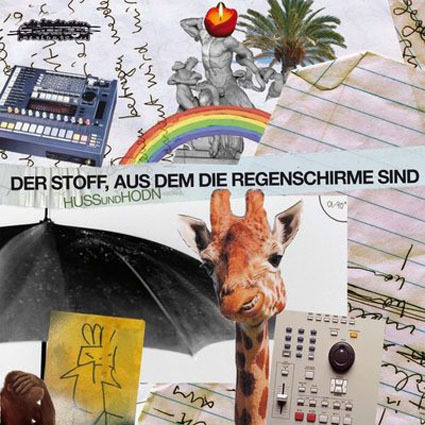 With their new longplayer Der Stoff, aus dem die Regenschirme sind (engl: the stuff umbrellas are made of ) they show once more that you don’t need bling bling rhetoric to be part of the Hip Hop game. 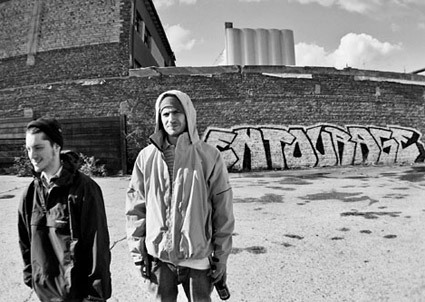 No – this buddys from Cologne like to stick out with free-spirited rhymes and some raw minimalistic beats. Sadly they only rap in German – a disadvantage that keeps them away from beeing internationally successful. For their new tracks Hulk Hodn and Kurt Hustle went down deep into the discipline of battle rap. But not with a laddish flow because they like to see it all with humor and dis their colleagues winking. All this backed by beats reminiscing good old boom bap styles. Overall they bewitch with fresh HipHop music that comes to stay with you. And even if you are not into beats and rap: their humor will definitely raise a smile.